At its best, AMC’s “The Son” evokes memories of Paul Thomas Anderson’s “There Will Be Blood,” another tale of a complex businessman and father figure in a world where men were defined by the land they owned and the oil it produced. It is a sprawling epic about the formation of a man and a section of the country often, and still, defined by conflicts based on race and privilege. The concept, credited to Philipp Meyer, author of the Pulitzer-nominated book on which this mini-series is based, is really quite brilliant, charting the development of a young man kidnapped by Native Americans and the older version of that same man dealing with Mexicans who want to take his land. However, the intellectual nature of that concept can sometimes weigh down the series in exposition and background. It’s the kind of project that one would guess was based on a multi-hundred-page novel even if they didn’t know, and that’s not always the best thing for a television series to be. Some things work better on the page than on television, a medium which doesn’t allow for the same degree of detail. Sometimes, I wished “The Son” breathed more and didn’t have so many scenes that play out something like “Here’s my story and what I plan to do,” but one has to admire the ambition of the piece, and at least two stand-out performances. Young Eli McCullough (Jacob Lofland) is living with his family on the great frontier of the mid-19th century when tragedy strikes. His family is killed by Comanches, and he is kidnapped, forced to work in the Native American camp and learn their ways. 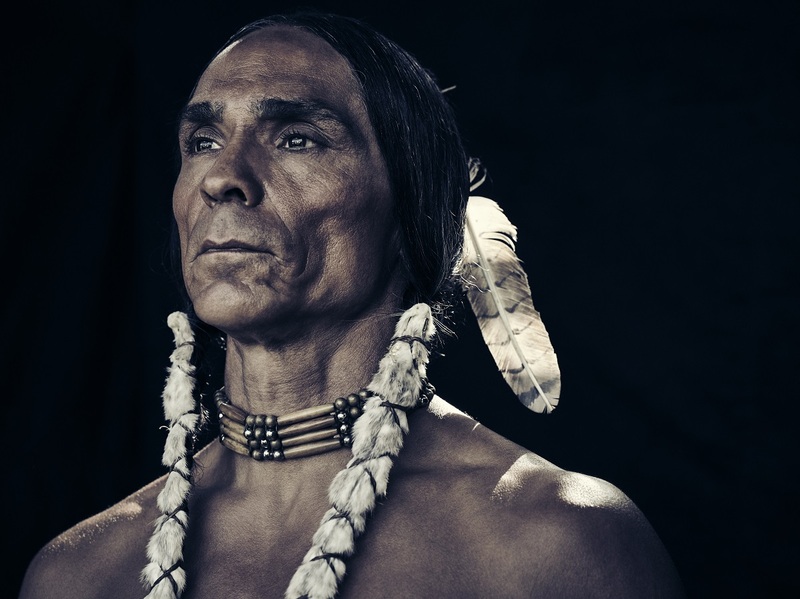 The Comanche war chief named Toshaway (Zahn McClarnon) takes something of a liking to Eli, as does a young lady named Prairie Flower (Elizabeth Frances). The story of Eli learning to survive as his new people deal with the incursion of white settlers on their land is only half of the story of “The Son.” We spend even more time with Eli as an older man in 1915, played now by Pierce Brosnan, in a performance of striking charisma. Eli McCullough is a powerful man in Texas, a cattle baron who wants to be an oil magnate, and a man who has built a family and a legacy. We meet his two sons—conservative lawyer Phineas (David Wilson Barnes) and the more progressive Pete (Henry Garrett). Pete has a wife named Sally (Jess Weixler), and a daughter named Jeannie (Sydney Lucas), who could be the real heir to the McCullough fortune. Eli McCullough is a ruthless, driven man, the kind who tortures those he thinks have wronged him and fantasizes about scalping a man who has professionally damaged him. In many ways, Eli’s story is presented as the story of Texas, a place that has been fought over for centuries, whether it be the way Eli’s childhood was defined by the fight between the Comanches and the settlers or his later battle with the Mexicans who want to sabotage his oil rigs and take his land back for themselves. While Pete McCullough preaches tolerance and negotiation, “The Son” often presents a world in which goals can only be achieved through violence. If you have power, you better use it, or risk it being taken away. And, by moving back and forth between the time periods, we can see how that power was forged through such brutality. We witness how the lessons Eli took from the Comanches influenced how he claimed power as a white man in the early parts of last century. In essence, “The Son” is about the birth of the American business aesthetic. Naturally, there’s a lot to unpack here, but that often leads to characters who sound like mouthpieces from a novelist. For example, when a Mexican prisoner says, “Go ahead, underestimate us. We’re counting on it.” This kind of statement-driven dialogue leads to a show that often asserts its importance before earning it. We don’t live and breathe with these people as much as watch them through a glass bubble. The pure screen presence of Brosnan and McClarnon (so great on the last season of “Fargo”) make them the most interesting characters by a large stretch, but everyone else kind of blends together over the first few episodes. “We’re born in a certain time and place—and there ain’t nothing we can do about it,” says McCullough. Are we victims of our situation or can we push against those expectations? While I wish “The Son” was more dramatically engaging, it is certainly the kind of program that warrants thematic dissection and discussion. And we can’t have enough of those.